Here you can find some background information about our action. 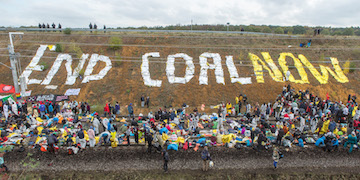 Read why the German government is not the saviour of the climate crisis. And why climate justice is not only about CO2 but about dismantling corporate power in each area of society. Here you find the text! What is civil disobedience? Read more about it in a text from Stellan Vinthagen, professor in “civil resistance”.